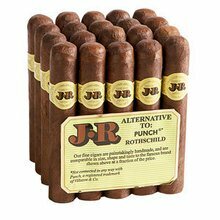 The JR Alternative to the Punch President cigar is the perfect choice if you’re looking for a really great top-quality premium cigar for much less. Handmade with the long-filler clippings from some of the best smokes in the world such as Macanudo, Montecristo, and Excalibur, these cigars are close in size, flavor, and strength to those big-name brands. 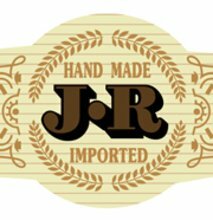 Buy a bundle of 20 at JR Cigar and see whyJR Alternative cigars have been our best-selling brand for decades. The days of Punch, Excalibur, Hoyo, etc. originals has apparently ended. Given recent retirement and new economic surprises, I have found the JRPUPR and other alternative cigars are an excellent cigar for the investment. Quality is much better than other Co.'s knock-offs. I'm a fan! Little disappointed in this cigar. Has a tough draw after the first three I smoked. Not as smooth as the shorter Punch cigars I bought. Maybe the longer length causes this? I've had better luck with the 7.25X54 Alternative. Punch Grand Cru Diadema. Price has increased. Shipping has increased. Ring size is 48, not 52. Wrapper quality has decreased. Used be be a good smoke. What's going on JR? I've been enjoying these cigars for some time now. Sadly, I have to say that in my opinion, the price has increased significantly while the quality has gone down. There is a disparity in the tightness of the roll of the cigar and way too many holes that run the length of the cigar causing "burn throughs", even burning my tongue. The flavor has remained satisfactory but the overall quality is now unsatisfactory. At one time, these cigars represented a very good bargain, which is their purpose. This is no longer the case. A review of the manufacturer and the quality control should be an immediate priority.